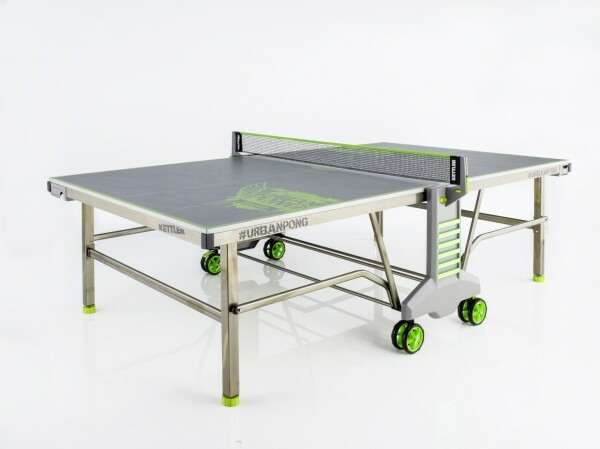 The Kettler table tennis table Urban Pong is unique due to its scratch effect and the raw-look frame. Practical innovations distinctively increase the playing comfort and fun. The scratch effect and the frame in raw look make each Kettler table tennis table Urban Pong unique. The fancy surface does not affect the excellent playing features of the Kettler table. The flamed and untreated frame is very solid and is protected by a powder sealing for a long time. The double wheels and height adjustment on all 4 feet facilitate the transport and the ideal adjustment of the table - even on uneven floors. The innovative ball box can take up to 10 balls and distinctively reduces the wait between the rallies. The UV resistant elastic straps offer storage space for bats, drinking bottles or other small stuff. 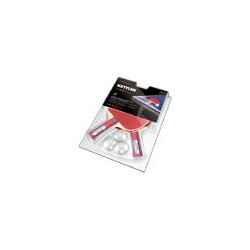 Kettler table tennis table Urban Pong add to comparison list.